The Dolomite Mountains near Lake Garda, Italy provided a stunning backdrop for testing SRAM’s new X1 drivetrain. Photo by Adrian Marcoux/SRAM. 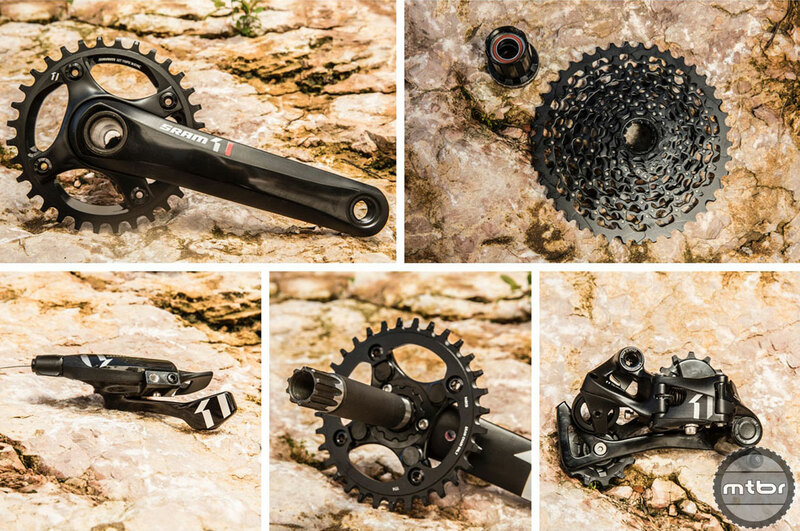 Component manufacturer SRAM unveiled a third, more affordable version of their wildly successful 1x mountain drivetrain, dubbed X1, in the Dolomite Mountains of Italy this week. The new group features much of the same performance acumen of their higher-end 11-speed systems, but uses less expensive manufacturing techniques and materials that add a few grams, but saves $400-600 (depending on crank type) from the MSRP of an XX1 drivetrain, and just over $200 from XO1. At just over $1,000, SRAM’s new X1 drivetrain lowers the barrier-of-entry to true 1 x 11 performance. Photo by Adrian Marcoux/SRAM. A sizable chunk of the $1,066 X1 drivetrain’s cost savings comes from the cassette, which employs a hybrid construction technique SRAM calls Mini Cluster. Rather than machining the entire cassette from a single piece of steel billet like it does on the XO1 and XX1 versions, SRAM only machines the smallest three cogs that way. The piece is combined with the largest eight cogs, which are individually made and then pinned together. Like all SRAM’s 11-speed groups, an XD driver body on the rear wheel is required to run the wide-range cassette. By using pinned construction for the X1 cassette’s lower gears, SRM was able to save significant cost. Photo by Adrian Marcoux/SRAM. 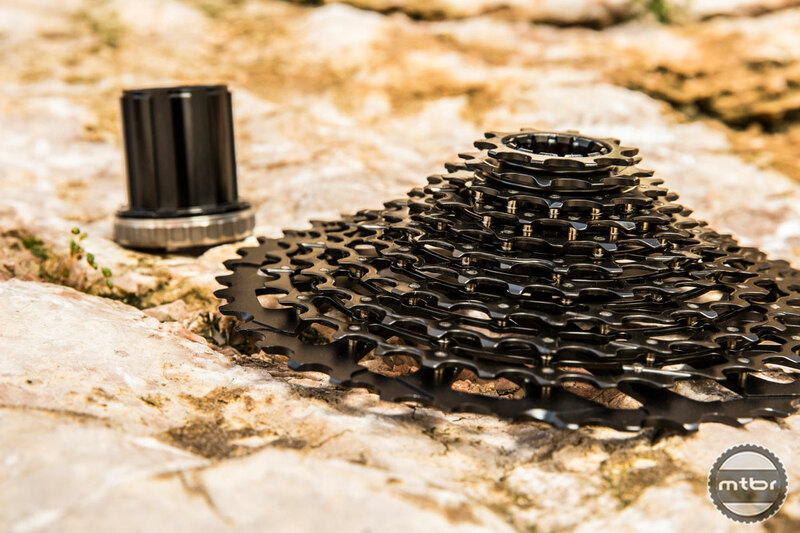 Other than the cassette, cost savings come from SRAM’s traditional means of group differentiation—less polished finishing, and lower-cost material choices that generally have little effect on performance, other than slight weight penalties. The group features all the same technologies of its more-costly counterparts, but adds a few options that should help make X1 the workhorse spec on a wider-range range of OEM bikes, in addition to the aftermarket throngs clamoring for a legitimate but not-quite-so-spendy 1 x 11 drivetrain. The aluminum X1 crank, for instance, is offered in two aftermarket levels—the 800g hollow forged X1 1400 and the 850g forged X1 1000, which includes a fat bike option. There’s also the forged 830g OEM-only X1 1200, which should make it easier for bike manufacturers to start spec’ing the system on bikes starting at lower price points than we’re used to seeing. The region’s changeable weather provided a range of conditions to test the new X1 drivetrain. Photo by Adrian Marcoux/SRAM. With the amazing Italian Dolomites as the backdrop, we rode the new X1 drivetrain for a couple days earlier this week. Day one saw typical, moist spring conditions, while day two was a non-stop downpour. Though our rides were brief, they gave us a pretty good idea of how X1 performs in a wide-range of conditions. In a nutshell—just like XX1 and XO1. Rain was non-stop on day two, but so were we. The rocky trails in the region were actually pretty resilient to the wet conditions. Photo by Adrian Marcoux/SRAM. X1’s shifting felt just as snappy and precise as its pricier counterparts, with neither a hint of hesitation or ghost-shifting. The trigger action might have a slightly different feel than XX1 but shifts are equally crisp and reliable. Despite the inhospitable treatment of our test bike, it shifted like a champ and didn’t drop a single chain. Photo by Adrian Marcoux/SRAM. Like the other systems, X1 uses SRAM’s Type-2 roller bearing clutch and X-Sync narrow/wide chainrings to keep the chain in place. Over the course of two days of riding in crunchy conditions, there wasn’t a single dropped chain among our 20 riders. It leads us to believe that, like with XX1 and XO1, you may occasionally have a derailment, but very rarely. It is because sram figure out that cassettes are like printer ink. They can make a crap load of money because they know you have to buy another one when you wear out the cassette. SRAM is maximizing their revenue, not providing you with value. I am seriously thinking of going back to Shimano because of the way SRAM approaches the market. Is it me or do those prices seem pretty crazy? I’ve never seen a XX1 group retail for $1600+! And I’m from EU where the prices are much higher than in the US. Here you’d get a complete XX1 group for €1000, and the X01 for €800. Which would come to approx $1350 and $1100 US. I was about to crap myself when I read that the “budget” 11sp group would still cost over a grand…!! That depends on where you live. Come on up to New Hampshire and buy your bike gear tax free! This is pretty disappointing. They did not address the two main problems: 1. expense of primary wear items (cassette & chain rings, in particular the cassette, although at least the chain is now reasonable) 2. expense of ‘most likely to break in a crash’ items (rear derailleur). Also, while the shifter seems cheap, it is only for one, not a pair, so not really. If SRAM isn’t going to price something in the range of current X9/X7/XT/SLX prices then what’s the point of a new group? It’s cheaper, yes, but the price still hasn’t moved into the range of a new financial demographic. I’m not against expensive stuff for the people who can/want to pay for it, but let’s not advertise this new X1 as ‘affordable’. It is simply the least expensive of three very expensive group sets, that seem even more expensive considering they have 2 1/2 fewer components than a normal (2x) groupset. What driver body is that behind the cassette in the photo? It looks like a special x1 specific driver body with splines and not threads. So we have an xd driver for xx1 and x01 and another for x1? Erik- That’s the XD driver body–same for XX1, XO1 and X1. It has splines down most of the body and threads near the end. Actually a very clever system. Or you can just buy a 42t rear, and a 30-34t raceface narrowwide.. maybe a cassette if you need it for $50… and save like $900 bucks. Everyone that is complaining about price of the group needs to stop comparing it to a One up conversion with RF crank etc. You are not comparing apples to apples. Price out all those X1 components in X9 and compare. Add in the One up and apply a 30% discount to X1 MSRP and the X1 is lower. Think as if you were building a frame up, that is when this pricing makes sense. The X1 is not supposed to be an economical conversion of your existing 9 or 10 speed components. I hope for a 1×10 cassette too, but stop comparing X1 group to a conversion to 1 by. Interested in the long term durability/wear on the cassette. The cogs are a bit wimpy looking. Maybe need to see it for real in hand. For sure in pricing the Grade = F.
“A bit wimpy looking” is a pretty arbitrary measure. We can tell you that in person they “look” no less robust than any other cassettes we’ve seen from any manufacturer. Amen Dave! That’s what I plan on doing! I’d rather support Wolf Tooth Components and save 900.00. Funny thing is I see all these articles today about the X11 being cheaper now. But….I can still barely afford to buy the chain even at this amazing new lowered price. I’m still waiting for Shimano to coming out with standard 10 speeds cassette 12-42 ! My X0 cranks with an MRP bling ring on it (32t) is lighter than an XX1 32t crankset. I don’t know what is new. Just looked at my XX1, I don’t know if I am seeing things but the first 10 cogs looks to be machined from one billet and the 11th cog (42 teeth) pinned to it. XX1 shifts are crisp though, even when going from 36 to 42. Makes no sense as X1 11spd cassette is probably 11-32 not even 11-36 or 11-42 or 10-42. No difference comparint to 8spd 11-32 except narrow wide. This is completely wrong. There is only one option offered for SRAM 11-speed mountain cassettes 10-42 no matter is its XX1, XO1 or X1. Everyone whines about cassette wear probably has never ridden a 1x system. I find im using the entire spread of gears a whole lot more instead of replacing a cassette because in wore out 2 or 3 cogs and have 7 other good ones. I don’t see that logic. I regularly use all my cogs on 2×10. Using some cogs more than others is more a function of the terrain you ride and your shifting knowledge/skill than whether your drive train has an fd or not. Bingo! The word affordable should not be used in this article at all, especially in the title. Shimano FTW! Until someone comes up with a 10 speed cassette that runs 10-42t then I am sticking with my 1UpComponent system where for less than $150 I can run a 1×10 with a raceface narrow-wide 32t and a 1UpComponent 42t conversion. This marriage was perfect as I already had a SRAM 1050 cassette and an XT rear derailleur with a clutch. I’ve been running this so far with zero, as in ZERO, dropped chain. This 1×11 stuff removes the versatility of mountain bike. It will not give you enough gears to climb bigger hills, nor will it give you enough gears to keep up with faster pack, say when riding longer endurance race and the pace picks up on flat parts. Racers, of course, are sponsored and get their bike setup specific for each race.. totally different story than the average mountain biker. Switch from 3×9 or 3×10 to 2×10 removed just some gears in the middle of the range and a rider is in the good shape can still manage with the low / high gear for almost any condition, and that goes even for 29er. However 1 x11 removes everything ….gears in the middle, low gear and high gear, leaving rider with not enough gear choice. Now add increased wear due to finer parts- chain, closer ratio on the cassette. Difficulty to fix due to not so typical equipment in the bike stores. For what… ?? removing Front der. and shifter? I have the X9 cranks with the XO chainrings with an X9 type 2 rear and an XTR 10 speed cassette, never had a missed shift, dropped chain, and it is dead quite. Not sure about the 1 x 11, but from the service I have had from Sram, “they replaced my Code brakes no questions asked for free and paid the shipping to send the old ones back, I will never go back to Shimano. 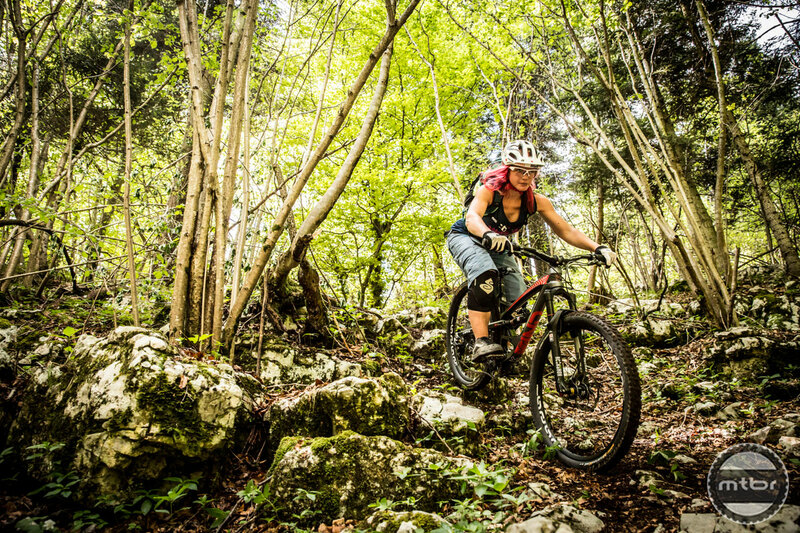 Why oh why are mountain bikers so whiney? If someone designed a mountain bike with extra super round wheels that only weighed 2 pounds someone would complain about it. Robert, it is not whiney to call out bull from manufacturers. This is not a budget group, period. It’s like Ferrari saying, “You can’ t afford our $100,000 car, OK now we have a $75,000 car, now we’re affordable”. And what’s realy worrisome is if SRAM makes this group available for OEM on what we’re currently calling mid price bikes ($3,500 to $4,000) that would typically spec x7/x9 or slx/xt. For this case you would have to spend up to 10% of the initial bike cost on a wear item to keep your already expensive bike running. That is ridiculous. And not only that, but you are stuck with that unless you want to replace your wheel and the entire drivetrain. And the average recreational Joe probably won’t even realize this what they’re signing on for for maintenance costs. Sound good to you? Because that’s where it’s heading. 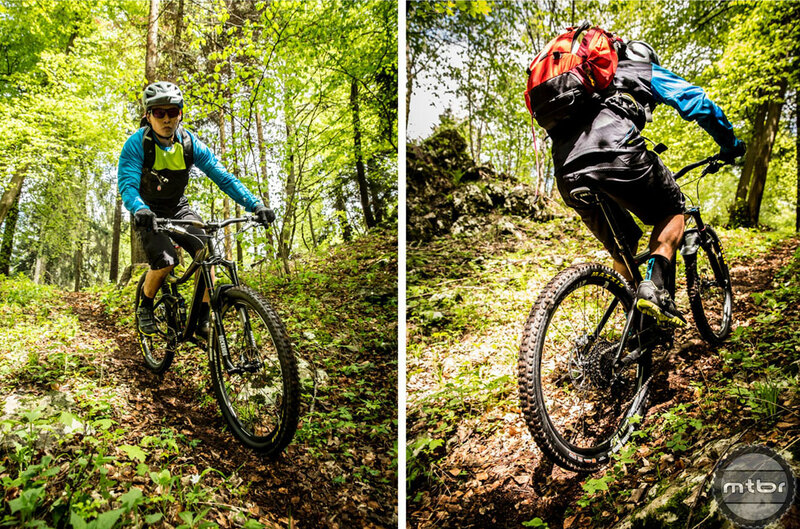 1x, 2x, 3x – it all depends on what type of riding you do. With the type of riding I do, I could have gone away with a 1×10 setup but there were definitely areas where I wish I had the 42 teeth cog – thus the reason I went with the XX1. I could have gone with the 1UpComponent but since I had an HG-61 and had to upgrade to an XT, XTR cassette anyway and wanted to upgrade my wheels, I just decided to go with the XX1 vs. XO1 given the minimal price difference between the two. Also with the 1×10, setup, I was running out of gears on the flats. With the 1×11, I can go from a 32 teeth to a 34+ teeth Raceface narrow-wide chainring and help with speed on the flats and still no compromise climbing capabilities. Got the xx1 last year on the new 29er Enduro… Came with the bike and I sure had my doubts about it…. All I do is alpine riding, very steep ups, much steeper downs, so I was concerned about climbing… I placed a 28T ring up front and never looked back on my earlier 2 x 10 systems… I climb everything with it, only a bit faster than before. The bike never drops the chain, runs quietly and shifts perfectly. Derailleur has become quite battered already, but still works as new. The wear is normal.. I run 2 chains and rotate them every two months or so… So far, so good. Definitely recommended for those who know what to expect from such a group. THE BIG DIFFERENCE BETWEEN THESE AND THE WOLF IS THE 10 tooth AT THE BACK. Retail here is $140 Sram $65 Blackspire for a single chainring. I have been running 1×10 xt and raceface narrow wide for the past year or so and have just made the move to X01 on my new bike. The shifts are much crisper and smoother, the climbing range is fantastic and it never drops, which my clutched zee mech and raceface ring did. Not looking forward to changing the cassette though!